When you have mold in your home or business it's important to have the mold removed so it does not return. MI Disaster Team is your mold experts of Southeast Michigan, providing mold remediation and mold damage repair. 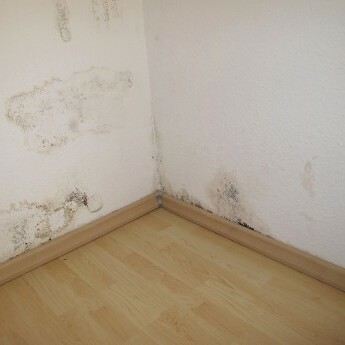 If you have had to deal with water damage, mold can grow unseen in walls or under floorboards. When we handle water damage cleanup, we make sure that mold doesn't have a chance to form. We recommend calling us to prevent mold growth. When there are visible signs of mold in your home, it is important to not wait and take immediate action. Mold remediation should be performed by professionals because it can make you sick and you want to ensure it does not return. MI Disaster Team takes mold seriously and our mold remediation services can ensure a safe home or business. The growth and spread of mold can happen quickly and become a serious risk to your home or business and its inhabitants, so fast response to mold remediation is highly important. If you experience water from flooding or plumbing leaks; mold can begin growing within 12-24 hours and can become visible to the naked eye within 48-72 hours. Our years of experience as mold experts in Michigan with the latest techniques in mold removal makes us your #1 choice for mold remediation. MI Disaster Team's trained technicians can provide mold inspection and find the best plan for your home or business. If we find mold in your home or business, we use professional mold remediation to halt the spread of mold and remove it safely. MI Disaster Team provides 24/7 water cleanup to prevent mold from growing. After we provide mold remediation services, it may also be necessary to repair any damage left behind by mold growth. We ensure that you have clean air and all areas are dry and treated. As disaster restoration specialists we can repair walls, ceilings, or provide water damage cleanup. Contact MI Disaster Team for 24/7 disaster restoration services including fire damage restoration, and mold remediation in Commerce, Ann Arbor, Troy, West Bloomfield, and surrounding areas in Southeast Michigan.